The course is laid out on open heath land, incorporating two natural lakes. Furze features prominently on many holes and the course is a blaze of yellow from early spring onwards. Often described as an Inland Links, the Heath offers a unique challenge to all levels of golfer. The 18 hole, 71 par golf course is laid out on open heath land, incorporating two natural lakes. Furze features prominently on many holes and the course is a blaze of yellow from early spring onwards. 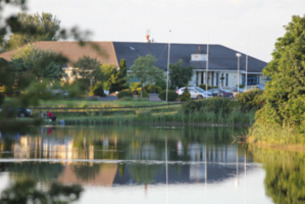 Facilities available include a 10 bay driving range, lakeside putting green and a magnificent clubhouse.